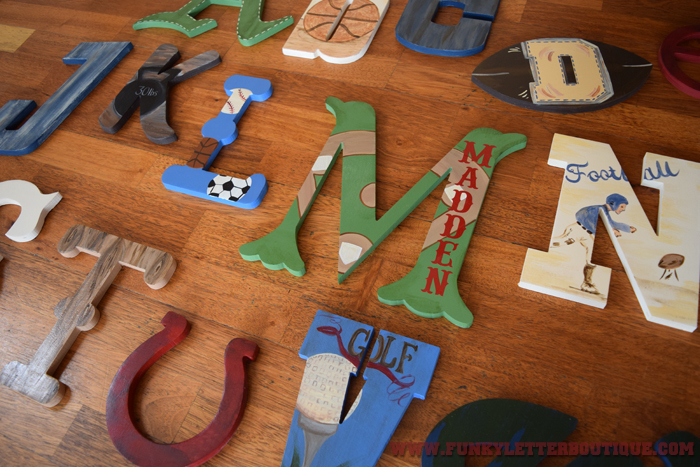 This creative hand painted wooden alphabet set will be the finishing touch your vintage sports themed room needs! Give your child's playroom, nursery or bedroom the wow factor with this ABC set! 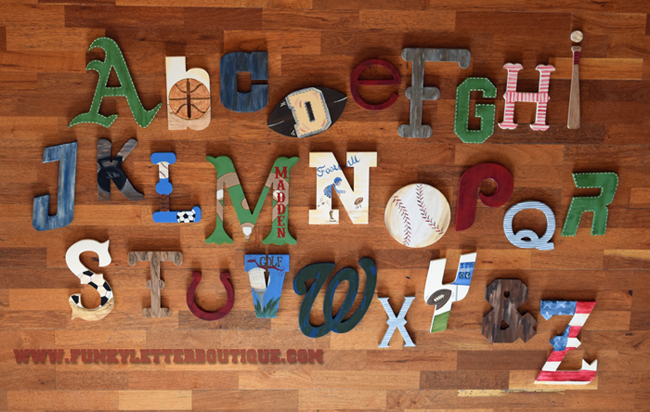 The letters come painted in a vintage rustic sports theme with the alphabet A-Z letters and &. These letters are hand painted and crafted and take 8-10 weeks to complete. If you need your set sooner you may purchase a Rush Order (chose the $75 option) to recieve them in 4-5 weeks. *The letter M has the name Madden on it for the customer's son. You may chose to put your child's name on one letter if you'd like to do this please add name in the message box below.